Hello my friends. I’ve been so busy lately painting new watercolors and turning them into clipart and printables. Yes, it’s a different direction than the past 6 years but it has renewed my passion for painting . . . something I sorely needed after the last 3 years. Because you, my readers, have continued your loyalty I want to make sure you get some freebies out of all this new work. Today I have a free fall watercolor printable. I painted the watercolor wreath and added the wording in Photoshop. Just click the photo or the link below it to get the high resolution printable. If you’d like to change the wording or background color, go to my Etsy shop where you’ll find the wreath available on a transparent background in high resolution so you can make your own creations! 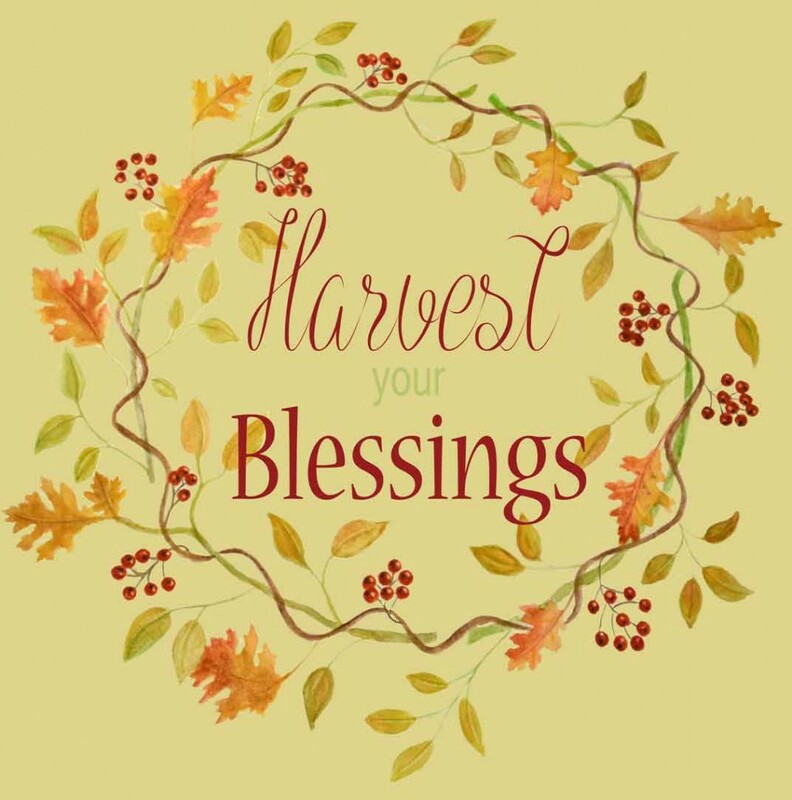 Have a wonderful day and be sure to harvest your blessings! love what you do, Coleen. Thank you. Wow, this is truly beautiful, Colleen. Thank you so much!